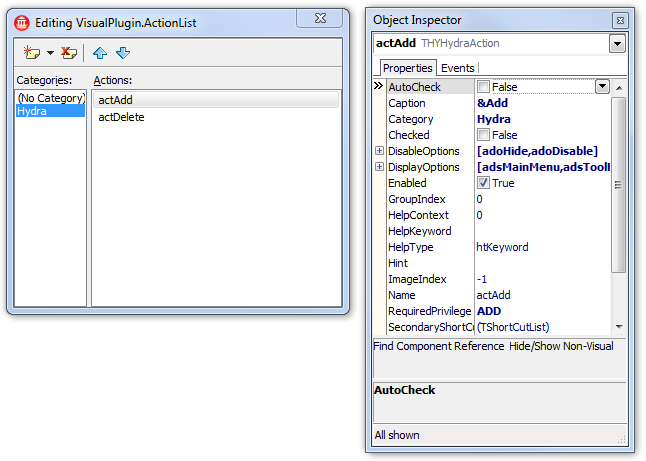 The Security sample demonstrates Hydra's ability to perform security checks on plugins. The security is fully customizable and allows you to limit actions that are exposed by the plugin according to your own security logic. 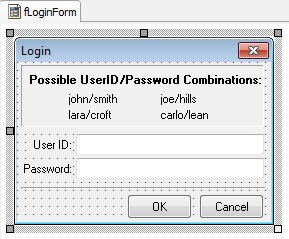 The Security Module plugin is a VCL plugin that shows a list box and provides the ability to add and delete items from this box. 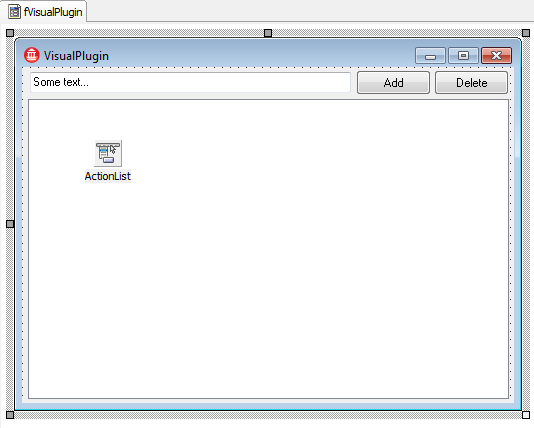 If you need more information on how to create a VCL plugin, please refer to this article. This code registers a plugin in the module, please take a look at the last line: priv_View is a custom string constant that sets the security token required by this plugin. The host will perform a check, and if the current user doesn't have the required privilege, it won't create an instance of the plugin. 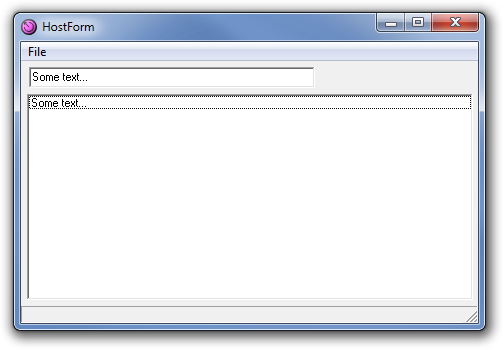 It holds a list of actions that will be exposed to the host application. Take a loot at the RequiredPrivilage property, it also holds a custom token that defines what security privilege is required to run this action. 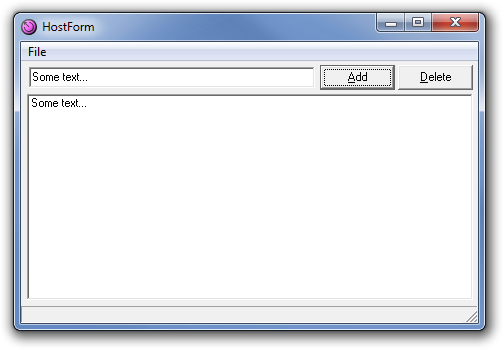 As you can see, they are simple string constants that define tokens for specific actions. The host is a Delphi application that is able to show our plugin and control the security options. For more information on how to create a Delphi VCL host application, please refer to this article. ModuleManager.LoadModules - This method allows you to load all plugins that were specified in the ModuleManager.ModulesToLoad list. 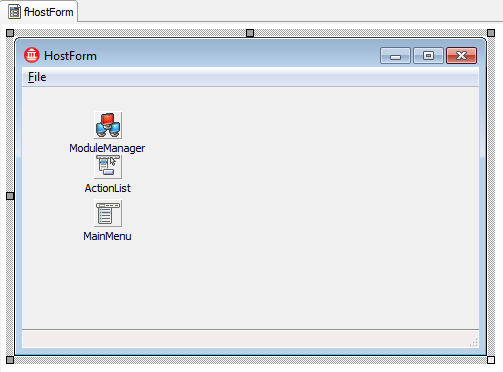 Module manager will automatically detect the type of a module and will use the appropriate method. It also provides a couple of methods for module loading, such as loading from a list of file names or loading using a search pattern. HYModuleManager1.CreateInstance - This method will create an instance of the plugin with the specified name and assign this instance to the intfinstance variable that we defined above. fEditForm.ShowParented(MainPanel) - This method shows the visual plugin in a specified parent control. Instead of @@@combination CreateInstance/Instance.ShowParented@@@ you can use ModuleManager.CreateVisualPlugin method that will do the same. 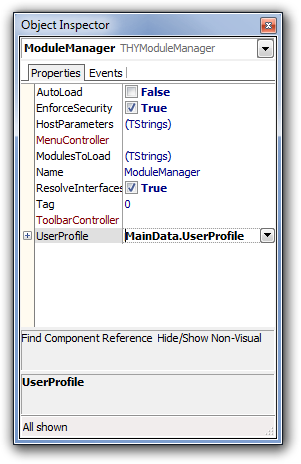 This property points to the THYUserProfile object that is located in the data module; let's take a look at it. This method can be split in two parts. 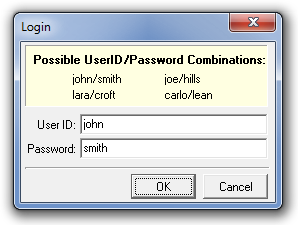 First, it checks user login details; for this sample we used a predefined login/password, but in real life applications, this can be as complicated as you want it to be. The second part is setting a privileges list for a specific user; as you can see, we use the same string constants as we've used in the plugin.